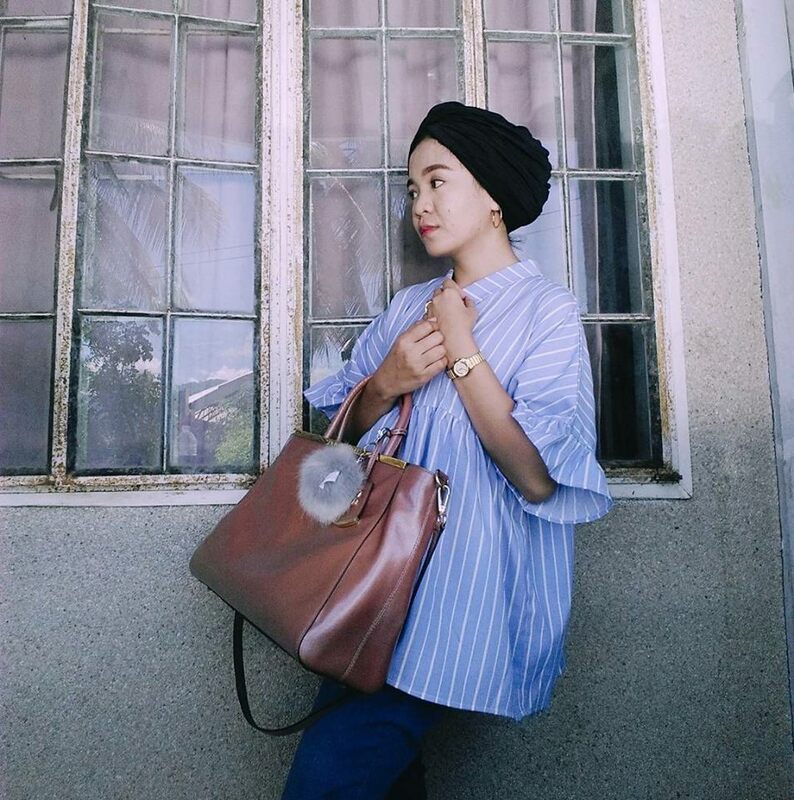 Advocacy and lifestyle blog of a girl from Marawi. Why are Filipinos so Poor (and the Meranaos the Poorest)? Last week Ms. Jahara Solaiman, one of the Meranao women I admire that I talked about in my post 9 Meranao Wonder Women Who Heavily Influenced Me, invited me to chat over pizza. It was one of the most liberating conversations I've had in a long time. It's the first time I had an uninhibited woman-to-woman talk. Just the thought of being able to talk about taboo topics, being honest about them without the fear of being judged, is mind-blowing. You see, growing up in a conservative culture where women are prized for modesty, I am not used nor do I expect such kind of conversation. What did South Korea look like after the Korean War in 1953? Battered, poor - but look at Korea now. In the Fifties, the traffic in Taipei was composed of bicycles and army trucks, the streets flanked by tile-roofed low buildings. Jakarta was a giant village and Kuala Lumpur a small village surrounded by jungle and rubber plantations. Bangkok was criss-crossed with canals, the tallest structure was the Wat Arun, the Temple of the Sun, and it dominated the city’s skyline. Rice fields all the way from Don Muang airport — then a huddle of galvanized iron-roofed bodegas, to the Victory monument. Visit these cities today and weep — for they are more beautiful, cleaner and prosperous than Manila. In the Fifties and Sixties we were the most envied country in Southeast Asia. Remember further that when Indonesia got its independence in 1949, it had only 114 university graduates compared with the hundreds of Ph.D.’s that were already in our universities. Why then were we left behind? The economic explanation is simple. We did not produce cheaper and better products. The basic question really is why we did not modernize fast enough and thereby doomed our people to poverty. This is the harsh truth about us today. Just consider these: some 15 years ago a survey showed that half of all grade school pupils dropped out after grade 5 because they had no money to continue schooling. Thousands of young adults today are therefore unable to find jobs. Our natural resources have been ravaged and they are not renewable. Our tremendous population increase eats up all of our economic gains. There is hunger in this country now; our poorest eat only once a day. But this physical poverty is really not as serious as the greater poverty that afflicts us and this is the poverty of the spirit. Why then are we poor? More than ten years ago, James Fallows, editor of the Atlantic Monthly, came to the Philippines and wrote about our damaged culture which, he asserted, impeded our development. Many disagreed with him but I do find a great deal of truth in his analysis. This is not to say that I blame our social and moral malaise on colonialism alone. But we did inherit from Spain a social system and an elite that, on purpose, exploited the masses. Then, too, in the Iberian peninsula, to work with one’s hands is frowned upon and we inherited that vice as well. Colonialism by foreigners may no longer be what it was, but we are now a colony of our own elite. We are poor because we are poor — this is not a tautology. The culture of poverty is self-perpetuating. We are poor because our people are lazy. I pass by a slum area every morning - dozens of adults do nothing but idle, gossip and drink. We do not save. Look at the Japanese and how they save in spite of the fact that the interest given them by their banks is so little. They work very hard too. We are great show-offs. Look at our women, how overdressed, over-coiffed they are, and Imelda epitomizes that extravagance. Look at our men, their manicured nails, their personal jewelry, their diamond rings. Yabang (show offs) - that is what we are, and all that money expended on status symbols, on yabang. How much better if it were channeled into production. We are poor because our nationalism is inward looking. Under its guise we protect inefficient industries and monopolies. We did not pursue agrarian reform like Japan and Taiwan. It is not so much the development of the rural sector, making it productive and a good market as well. Agrarian reform releases the energies of the landlords who, before the reform, merely waited for the harvest. They become entrepreneurs, the harbingers of change. Our nationalist icons like Claro M. Recto and Lorenzo Tanada opposed agrarian reform, the single most important factor that would have altered the rural areas and lifted the peasant from poverty. Both of them were merely anti-American. We can tackle our poverty in two very distinct ways. The first choice: a nationalist revolution, a continuation of the revolution in 1896. But even before we can use violence to change inequities in our society, we must first have a profound change in our way of thinking, in our culture. My regret about EDSA is that change would have been possible then with a minimum of bloodshed. In fact, a revolution may not be bloody at all if something like EDSA would present itself again. Or a dictator unlike Marcos. The second is through education, perhaps a longer and more complex process. The only problem is that it may take so long and by the time conditions have changed, we may be back where we were, caught up with this tremendous population explosion which the Catholic Church exacerbates in its conformity with doctrinal purity. We are faced with a growing compulsion to violence, but even if the communists won, they will rule as badly because they will be hostage to the same obstructions in our culture, the barkada, (good buddy) the vaulting egos that sundered the revolution in 1896, the Huk revolt in 1949-53. To repeat, neither education nor revolution can succeed if we do not internalize new attitudes, new ways of thinking. Let us go back to basics and remember those American slogans: A Ford in every garage. A chicken in every pot. Money is like fertilizer: to do any good it must be spread around. Some Filipinos, taunted wherever they are, are shamed to admit they are Filipinos. I have, myself, been embarrassed to explain, for instance, why Imelda, her children and the Marcos cronies are back, and in positions of power. Are there redeeming features in our country that we can be proud of? Of course, lots of them. When people say, for instance, that our corruption will never be banished, just remember that Arsenio Lacson as mayor of Manila and Ramon Magsaysay as president brought a clean government. We do not have the classical arts that brought Hinduism and Buddhism to continental and archipelagic Southeast Asia, but our artists have now ranged the world, showing what we have done with Western art forms, enriched with our own ethnic traditions. Our professionals, not just our domestics, are all over, showing how accomplished a people we are! Look at our history. We are the first in Asia to rise against Western colonialism, the first to establish a republic. Recall the Battle of Tirad Pass and glory in the heroism of Gregorio del Pilar and the 48 Filipinos who died but stopped the Texas Rangers from capturing the president of that First Republic. Its equivalent in ancient history is the Battle of Thermopylae where the Spartans and their king Leonidas, died to a man, defending the pass against the invading Persians. Rizal — what nation on earth has produced a man like him? At 35, he was a novelist, a poet, an anthropologist, a sculptor, a medical doctor, a teacher and martyr. We are now 80 million and in another two decades we will pass the 100 million mark. Eighty million — that is a mass market in any language, a mass market that should absorb our increased production in goods and services - a mass market which any entrepreneur can hope to exploit, like the proverbial oil for the lamps of China. Japan was only 70 million when it had confidence enough and the wherewithal to challenge the United States and almost won. It is the same confidence that enabled Japan to flourish from the rubble of defeat in World War II. I was nodding in every paragraph of Jose's piece. While reading, I remembered that according PSA's 2010 Census, Lanao del Sur is the poorest province in the country with a staggering 67.3% poverty incidence! Is it because in everything that the Filipinos do to make themselves poor, the Meranaos do so much more? Filipinos are poor because they are lazy. Meranaos are the poorest in the Philippines, does that mean we are the laziest? Are we the best when it comes to cronyism and corruption? Are we the most yabang? Ba seketano i pinakaambog? Where did we put our maratabat? Is our kind of Islam merely an act, praying five times a day but getting salary from the government without showing up in the workplace? Have we utilized our fertile lands and protected our ancient lake? Have we spent honestly the budget we are given or pocketed it instead? Have we raised our children to value hard work or have we taught them to try to get rich in any way they could? Why are we the poorest? Your thoughts? Great read, Aye! I think this is true naman to all Filipinos and it doesn't mean that when they say ARMM is the poorest, it is true agad. There are other indicators that werent considered like the rampant tax evasion. But of course, our people need to address our own sickness of riyah - showing off as a good muslim but not really doing the right things. I have to agree on tax evasion problem. Businesses in Marawi open without permit . But even if it is not taken into account, there is no denying that ARMM is lagging behind other regions. I have seen Maguindanao and the first thing that I noticed is that most houses are teeny-tiny. Meanwhile in Lanao del Sur, electricity is still a problem. The province changed very little over the course of two decades. Patay-sindi ang ilaw, unimpressive infrastructures, unemployment, underdeveloped agriculture sector, no running water in most households, murders in broad daylight in public spaces. Just enumerating them drains me. Hi, I am Ayeesha, a former journalist. Here is where I express myself with words and images. Three things I care most about are: Islam, Meranao culture, and social justice. HELP ME CONTINUE MAKING CONTENT, CLICK TO SUPPORT THIS BLOG.